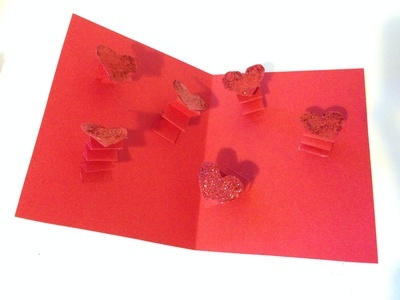 Open up this card to find lots of glittery hearts which spring out. It's sure to make a loved one smile on Valentine's Day - or any other time of the year just for fun! Cut 6 strips of red card about a centimetre wide and 6-8 centimetres long. 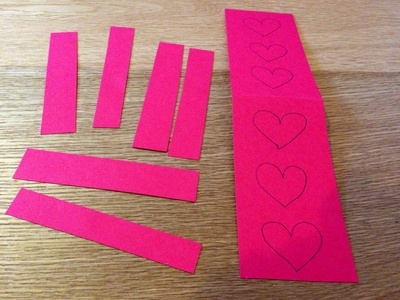 Cut 6 heart shapes out of red card. 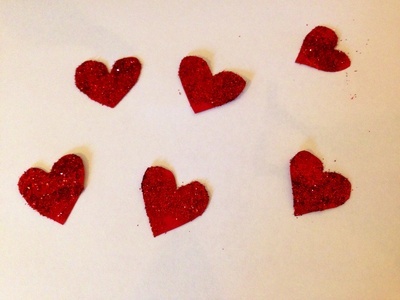 Apply glue over one side of the red hearts and shake red glitter on. 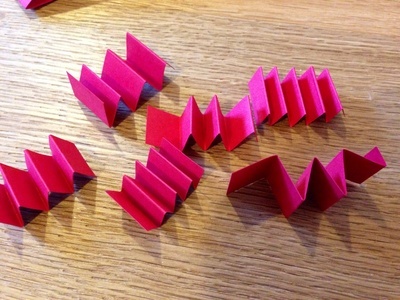 Fold the strips backwards and forwards into a concertina to make the springs. 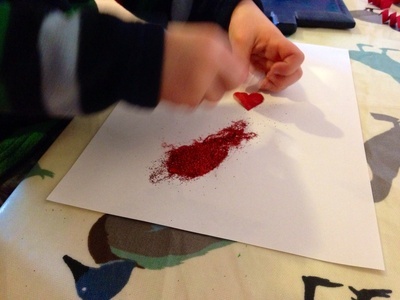 Glue a red glittery heart onto the end of each spring. 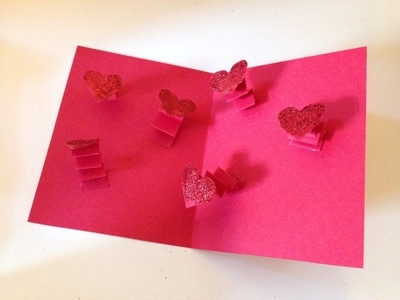 Glue the other end of the spring into the inside of the card. When the glue has completely dried, you can push the springs gently to close the card. 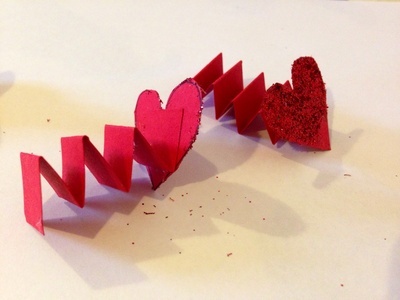 When the card is opened the hearts will leap out on the paper springs.